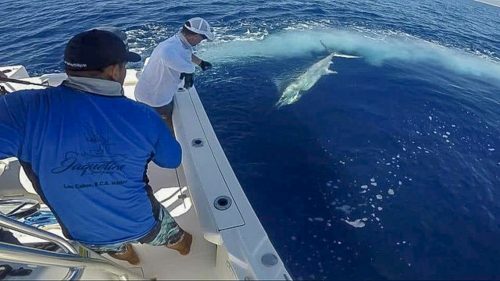 It’s hard to believe that fall is just around the corner and the epic bluefin tuna bite that began several months ago is still going strong. 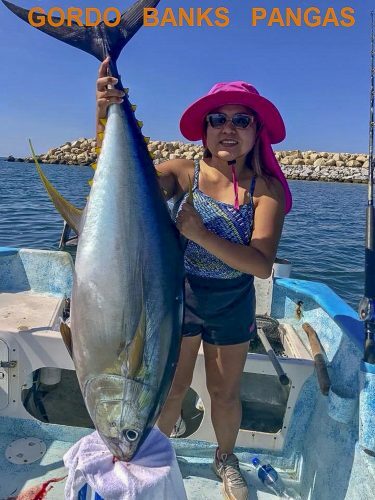 Most of the boats, along with the action, is above the border; however, the smaller variety of bluefin, mixed in with yellowtail, bonito and a few barracuda, are at the Coronado Islands. 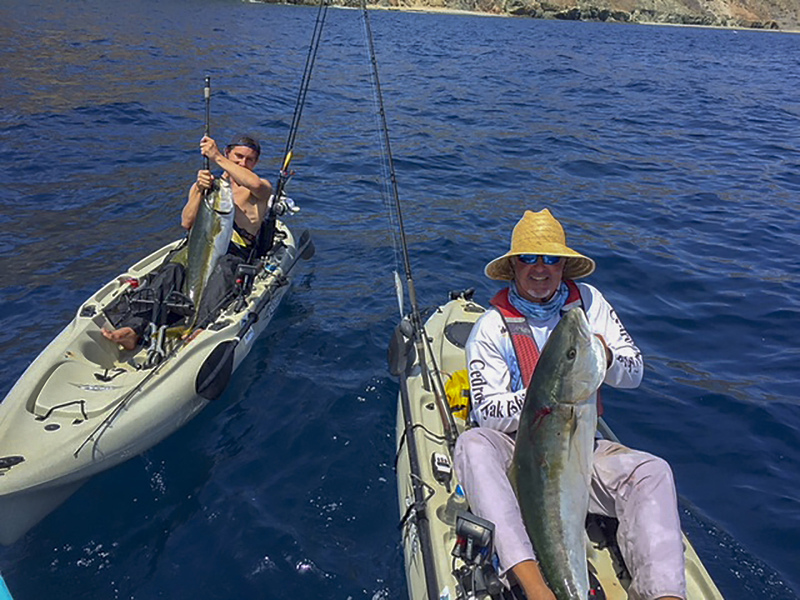 Cedros Island has their share of dorado and yellowfin tuna but if that bite slows down, the yellowtail and calico bass are still in the mix. Offshore, hot sea temps in the mid-70s along with patches of streaky off-color water, has slowed the exotics down a tad from the border on down the coast. Still, all the way down to Magdalena Bay, there are some nice dorado and yellowfin tuna (plus an occasional striped marlin) being caught. 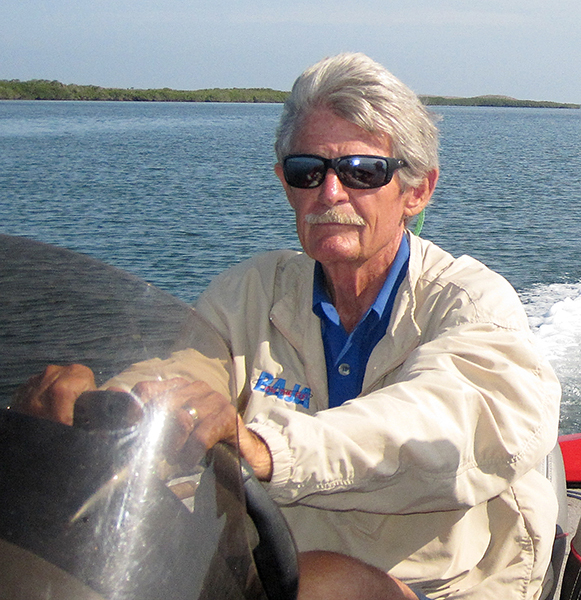 Inshore, reports of good, maybe great, fishing seems to be the theme as September settles in. 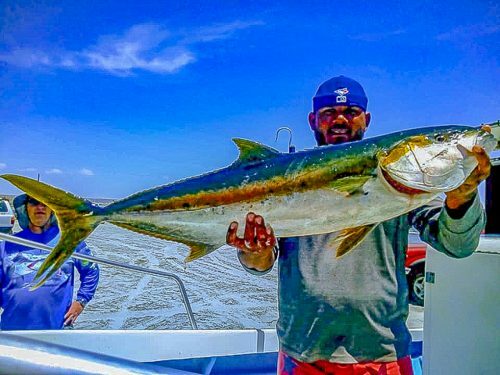 Yellowtail are dominating the catches with dorado sprinkled in at Asunción, La Bocana, and Abreojos. Wahoo are currently the best bet at Magdalena along with yellowfin and a few stripers. Locals are predicting another banner October and November for the usual offshore crowd. Inside the bay, a few snook and corvina are among the catches along with some small grouper and pargo and even a few halibut. Go figure. The Northern sector of the Sea of Cortez is living up to its reputation for being hot-hot-hot, matching the dorado and yellowtail fishing that is anticipated during the late summer and early fall. By all accounts, the area is not disappointing the anglers. Bahía de los Ángeles and Gonzaga all the way down to Santa Rosalía, Punta Chivato, and Mulegé although good, are not enjoying the hoped-for bonanza that usually occurs this time of year, at least not yet. 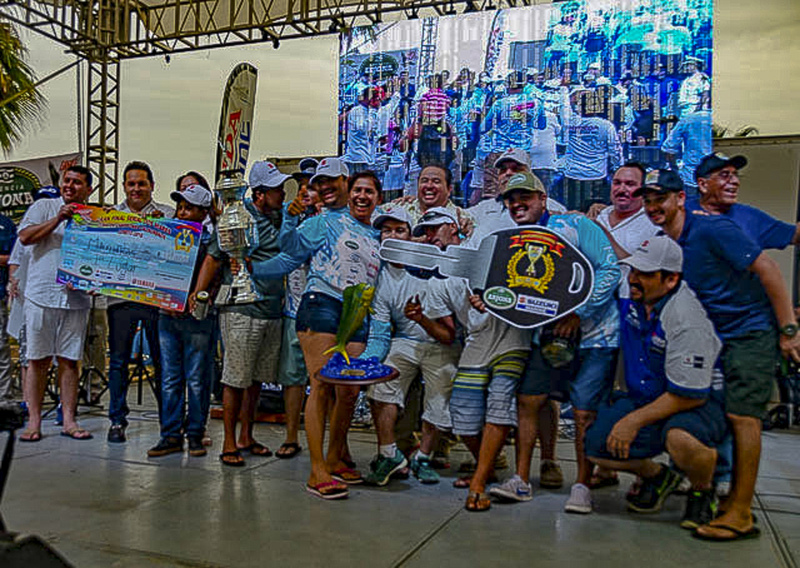 Loreto recently hosted the FONMAR Dos Mares Final focusing on dorado specifically, allowing the winners of 26 tournaments in various events held throughout Baja Sur during the year to compete among themselves. There were 115 teams competing for money and prizes. The three winning dorado weighed a respectable 42.5-, 41.9- and 38.8-pounds earning the respective teams, $279,000 mx pesos, $167,000 mx pesos and $111,600 mx pesos, plus outboard motors for the top two winners. 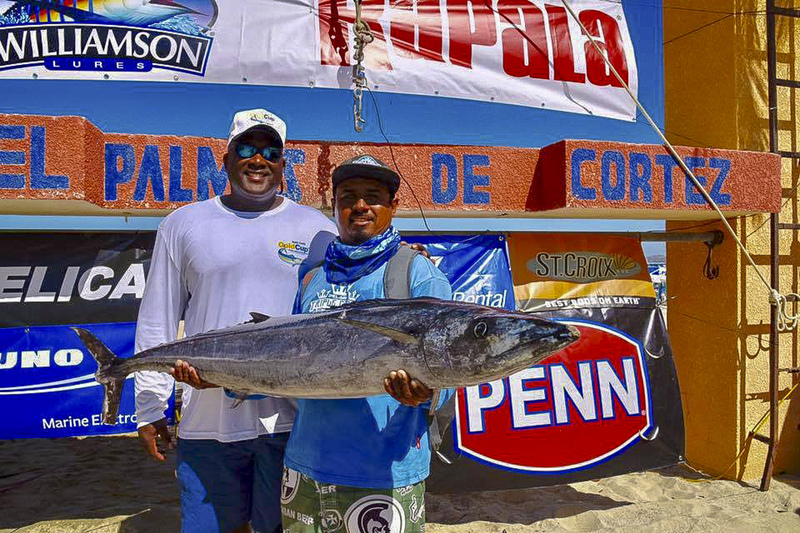 These local events are inexpensive to enter and are a unique way to interact with local sportfishermen throughout Baja Sur. The following link has an up-to-date list of the events planned if you are interested: http://www.serialsepada.com/calendar/ . In the La Paz area there are smaller schooling dorado in the bay with larger fish weighing up to 20 pounds outside. In Las Arenas/Muertos Bay, big tuna are still around, although they are a bit pickier. The smaller, football-sized 10- to 20-pounders showed up right off Punta Arena not far from the lighthouse along with decent dorado up to about 25 pounds as well as the pompano and nice big pargo liso snapper that are usually caught in the springtime. Several roosterfish in the 30- to 50-pound range were also caught and released. 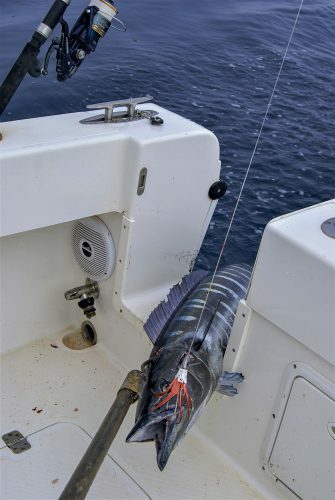 At East Cape, the Second Annual East Cape Gold Cup Wahoo Tournament attracted 52 teams that competed for a Volkswagen Tiguan valued at $25,000, the prize for the biggest wahoo. An additional $44,000 in cash jackpots were also on the line. Luis Beltran of San Jose del Cabo and Victor Locklin of Corona were the winners. 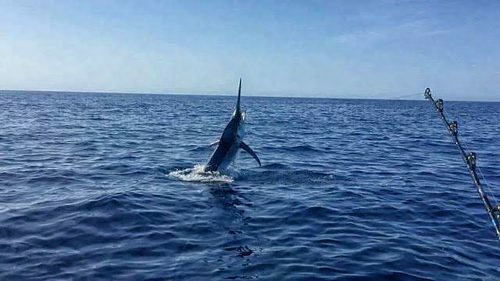 The billfish action has seemed to take a backseat to the wahoo, though their catch and releases have been steady. At Puerto Los Cabos the local fleets are now mainly concentrating their efforts on the Gordo, Iman and San Luis Banks. Anglers are using slabs of squid, sardina, and skipjack as well as small tuna for bait. 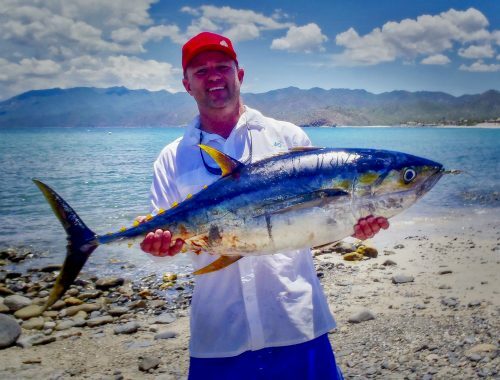 Iman and San Luis were the best places to find a nicer-grade of yellowfin as these grounds are producing big tuna weighing over 70 pounds. Near the Gordo Banks and Iman, several black marlin catches in the 200- to 300-pound class were reported recently; these fish were hooked into while slow-trolling larger rigged bait; white skipjack proved especially effective. At Cabo San Lucas near the tip, there have been some great days of fishing, then some slowing, then BAM — a fantastic catch shows up! 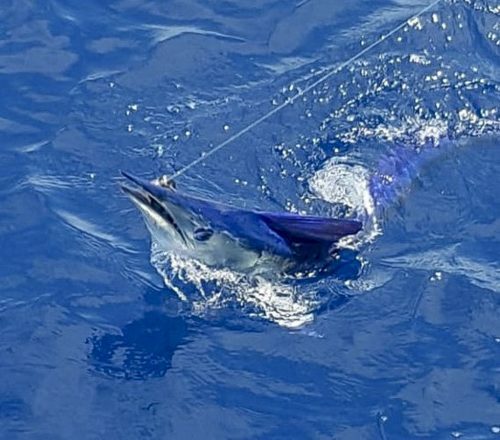 For example, there were a few rarely seen short-billed spearfish caught recently, along with several huge black marlin. Then a few large bull dorado were caught along with a beautiful big sailfish, whose size is rarely encountered anywhere in the world. Inshore fishing has continued to produce nice catches of roosterfish in the Palmilla area along with nice catches of jack crevalle. Historically, the upcoming tournament season has produced some memorable catches in the past, and with conditions improving, this year should be no exception. In fact, this may well be one of the most exciting tournament years yet. 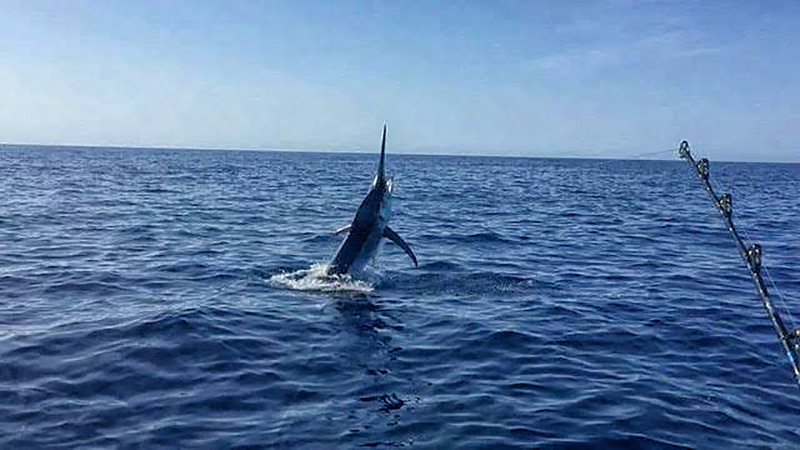 With more than five decades of fishing experience – from light tackle and fly to offshore billfish – Gary Graham has experienced all aspects of fishing in the Southern California and Baja waters. His observations of species behavior, tackle and techniques are always from his unique perspective, earning him the respect of his peers as well as anglers who eagerly follow his Baja reports and features. Gary maintained a home at East Cape in Baja Sur for more than 18 years and still spends nearly half of each year exploring the entire peninsula in his self-contained Roadtrek van. He observes everything Baja, from the mysteries of a tide pool on a deserted Baja beach filled with tiny sea creatures to the largest billfish in the sea.